At DayStarr, we keep things simple. 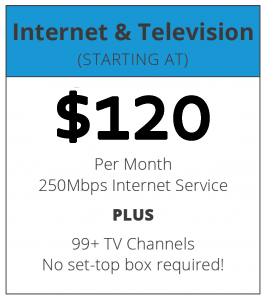 You don’t have to worry about complicated stuff, like figuring out a bunch of different packages for internet, TV and phone service. That stuff makes us feel like our heads are spinning like the dialing pad on the old rotary phones! Here’s how simple it is: Two basic packages! If you want to talk about other options – like going up to our 1000M (1G) speed or adding phone service – just let us know. Mix-and-match options are available. 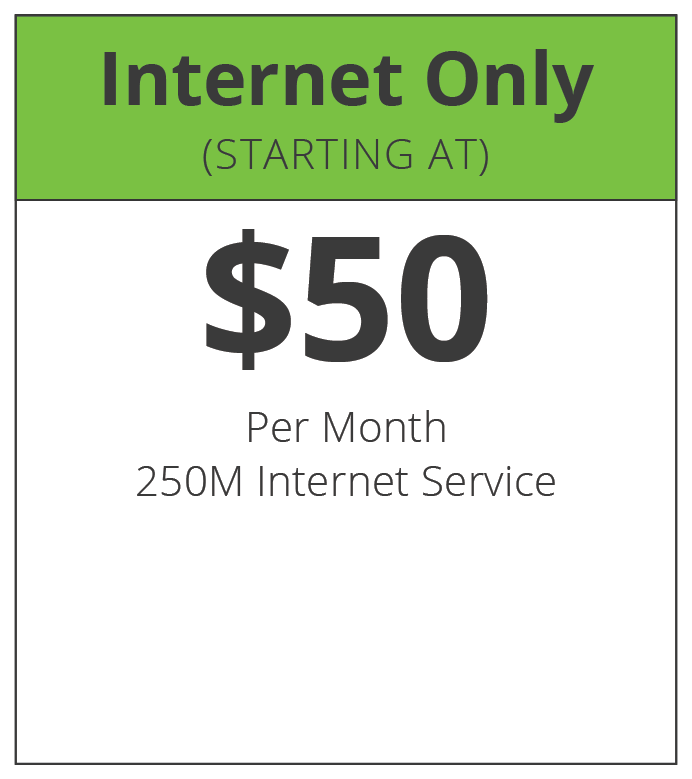 We start EVERYONE at 250M/10M for internet! That’s how we roll. You won’t get this speed from any of our local competitors. Contact us to customize the combo that works best for you! *TV service provided by TVC Inc. Limited service areas. If we aren’t able to offer you TV right now, our Service Availability Tool will record your information so we can follow up with you in the coming months as our service area expands. Installation rates from $50-$300 may apply. No long-term contract required. Convenient auto-payment option available. Prices are subject to change.